This day and night anti-wrinkle care cream loves mature skins in need of vital elements. Evening primrose, borage and soya oils are sources of essential poly-unsaturated fatty acids, necessary for hormonal balance and fighting against the effects of menopause. Its anti-free radical organic vanilla extract strengthens the skin’s sun protection. 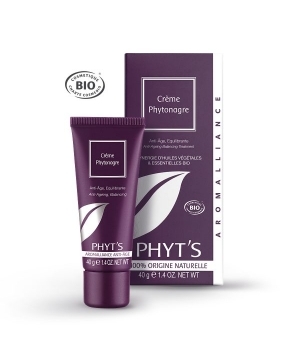 The Phytonagre Cream brings nutriments, tone, firmness, suppleness, softness and moisture. After a good skin cleansing and make-up removal, apply over the entire face, neck, eyelids and lips.